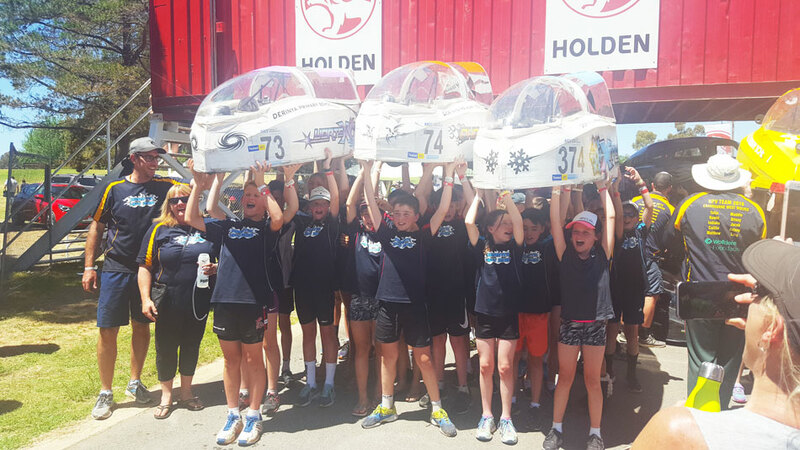 We proudly sponsored the Derinya Primary School Human Powered Vehicle Team at this years RACV Energy Breakthrough at Maryborough. There were around 100 competing teams, and ALL THREE of the Derinya Primary teams CAME IN THE TOP 20! They were judged on their performance in a 14 hour race, as well as design and build, safety, and presentations on sustainable energy. Well done Derinya Primary School!